This is the view from Connor Pass looking West toward Mount Brandon (Cnoc Bréanainn) and toward America where Brandon (St. Brendan) sailed. The lake is Loch Ui Fhiannachta (Clogharee Loch) and just a bit of An Loch Geal is visible as well. 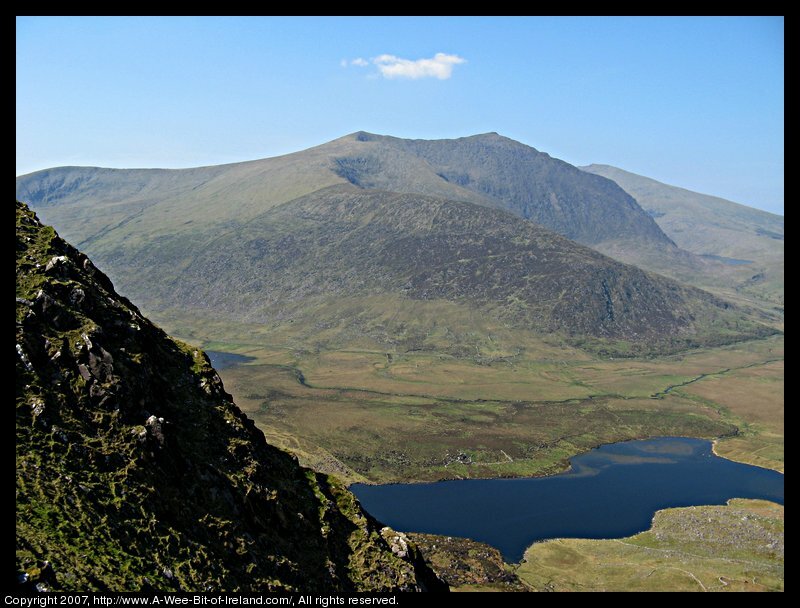 This is said to be the highest mountain pass in Ireland and is on the road (R560) from Dingle, Kerry to Camp.